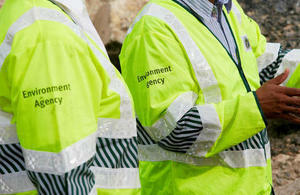 Environment Agency's 100-year strategy for flood protection in Swale and Medway Estuary area shared online and at open days for public scrutiny and comment. Members of the public are being invited to share their views on the Environment Agency’s strategy to protect areas of the north Kent coast over the next century. The online public consultation opens today, 6 November 2017, allowing people to view the Environment Agency’s plans on how best to best protect people, properties, wildlife habitats and agricultural land from flooding and coastal erosion in the Swale and Medway Estuary Area. The Medway Estuary and Swale Strategy outlines the best technical solution for flood defence while considering the impact and benefits to local communities and the environment, as well as the cost to the taxpayer. It covers the Medway towns of Stoke, Sittingbourne, Conyer and Faversham, in addition to the Isle of Sheppey and the Medway Estuary. Rising sea levels could result in the loss of nationally and internationally designated wildlife habitats in the area, which might be ‘squeezed’ against existing defences. The strategy therefore considers whether existing defences could be moved inland and the coastline returned to a more natural state, or whether habitat could be created elsewhere. The project team has developed leading options for each section of the strategy area, based on economic, technical, and environmental appraisals. We are keen to hear comments and feedback from the public on the proposed flood and coastal management options. We want to make sure we have captured all information before finalising the strategy. The consultation runs until 5 February 2018. Eastchurch Village Hall, Isle of Sheppey, 3pm to 7pm, 30 November 2017. Riverside Country Park, Gillingham, 3pm to 7pm, 6 December 2017. Halling Community Centre, 3:30pm to 7:30pm, 12 December 2017. All media enquiries: 0800 141 2743.